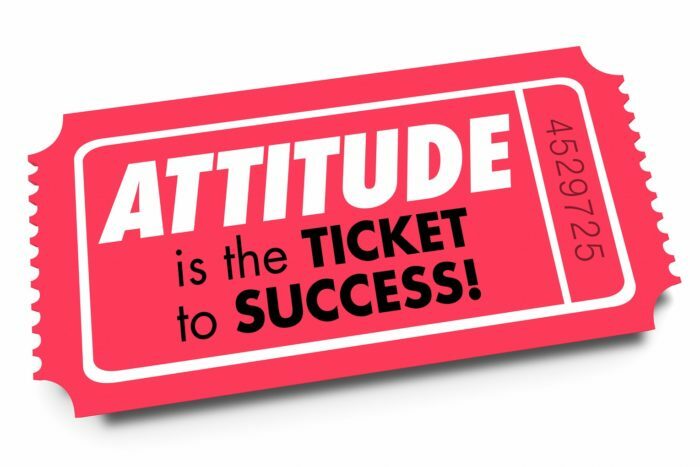 Great attitudes are infectious and can positively impact the behaviors of others. Of course, poor attitudes can also be infectious, and not in a good way, but that’s a subject for another chapter. So when we think about what defines a positive difference maker, is it really all about attitude? This article is part of a series that is dedicated to exploring the contribution of human capital assets (people!) to the value of a business. If you’re just joining us, welcome to The NEW ROI: Return on Individuals. In this article we discuss what defines a difference-maker. In author and speaker, John Maxwell‘s book The Difference Maker, John busts the myth that “attitude is everything” and explains that while attitude is important, it isn’t everything. There are certain things that attitude alone can’t overcome. For instance, a good attitude isn’t a substitute for experience. Attitude also can’t overcome a lack of skill, nor can it overcome certain facts. Despite my love of hockey and desire to play in the NHL, the fact that I am past the prime age of a typical hockey player and lack the skill to ice skate, prevents me from living that dream. That said, Maxwell writes that attitude is a primary component in determining success. He explains that attitude is the difference-maker in how we approach and deal with relationships and challenges. It might be the one thing that we always have in our control, regardless of the circumstances. Great difference-makers shift from seeing themselves as workers with an assignment to crank out, to seeing themselves as people with a difference to make. Difference-makers have the attitude that they are, in fact, difference makers. The results of an O.C. Tanner study of roughly 1.7 million people across all industries found that what sets these high performers apart isn’t a set of traits like intelligence or ambition. High performers — difference-makers — simply do things differently at work. They ask the right questions — Difference-makers ask things like, “Why does this take so long?” “Why can’t we…” “What if …” Difference-makers are not going to be satisfied with a “That’s the way we’ve always done it” mentality. They see how things work — Difference-makers look at work in ways that others haven’t. They recognize the importance of seeking to understand the work from the recipient’s point of view. This perspective allows them to better tailor their deliverables for the recipient. They have out of network conversations — Difference-makers regularly talk to people outside their immediate network of friends and associates. They understand that their immediate networks have a high correlation with similar contacts who might look at issues through similar lenses or experiences. By going outside of their network, difference-makers will build on the ideas that result from this variety of perspectives. They improve things — Difference-makers are looking to develop new techniques and strategies to optimize processes or products. For a difference-maker, there are always possibilities. “Good enough” is never good enough. They take ownership — Difference-makers don’t pass the buck or hold the belief that something is “not my job.” Difference-makers get great pleasure from the sense of accomplishment. This feeling inspires them to take on even more difference-making endeavors, and the upward-spiral continues. In conclusion, a great attitude is only one characteristic of a difference-maker. Dave Bookbinder is a valuation expert and collaborative consultant. Dave has conducted valuations of the securities and intellectual property assets of public and private companies across all industries for various purposes. 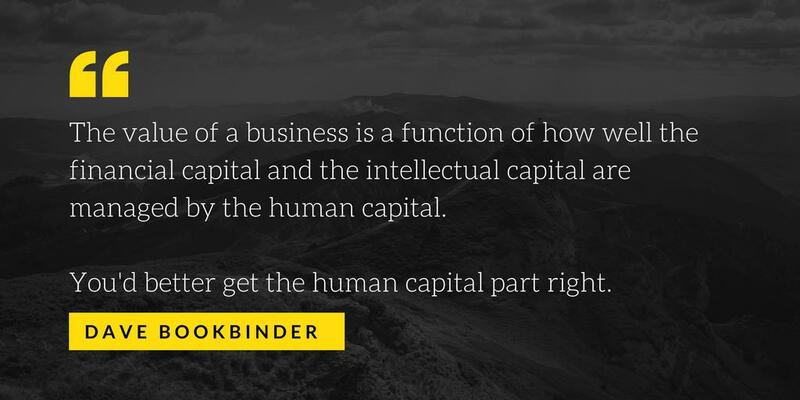 Among the many types of intangible assets that Dave has valued are human capital assets – people. You can connect with Dave on LinkedIn, and follow him on Twitter. If you want to learn more about the impact that people have on the value of a business enterprise, you might like the Amazon #1 best-selling book, The NEW ROI: Return on Individuals, which is available in hard copy at Amazon, Barnes & Noble, and everywhere books are sold. Please visit www.NewROI.com to learn more.